Your smile may be healthy, but that’s certainly not a guarantee that you love the way it looks. That’s where cosmetic dentistry at Shorewood Family Dental Care can help! 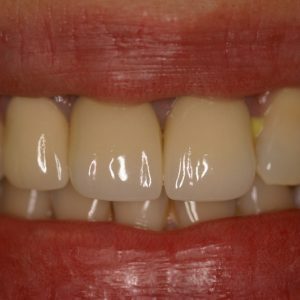 Take a look at the remarkable before and after difference of dental veneers from this happy patient, for example. Stained, misshapen teeth can be hidden away with these translucent shells, giving you a gorgeous smile in the end! Find out which cosmetic treatment is best for you. Call our Shorewood, IL dental practice today at 815-725-5991 or contact us online to request a consultation.